As the 2015 Frankfurt Auto Show approaches, Mercedes-Benz has given us a little tease of the 2017 AMG® C 63 Coupe ahead of its debut at the show. A video of the hot new compact sport coupe has been released, along with photos and details of the car. And although we knew the car was coming, nothing could have prepared us for the breathtaking performance numbers put up by this little fire-breathing rocket ship. The images and the video suggest a dynamic and stylish coupe with GT-like lines, and an ability to chew up the test track. 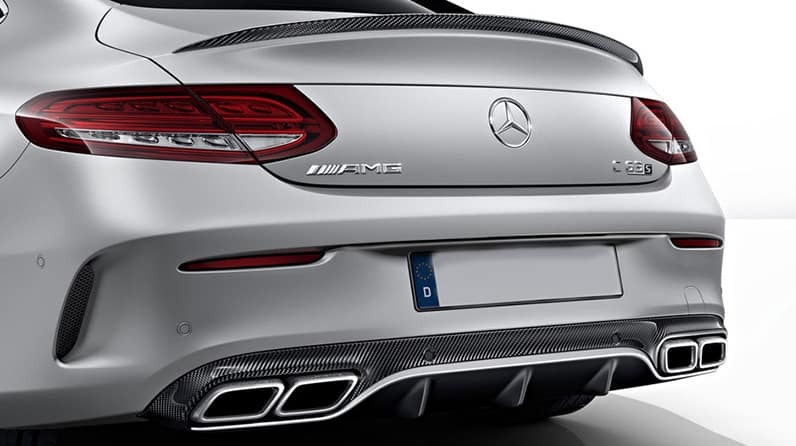 The AMG® C 63 will have a wider front and rear track width and wider fender flares to accommodate its broad stance. It will also have distinct aerodynamics, a panoramic sunroof and special body reinforcements to accommodate the much higher performance forces this beast is capable of. By all accounts, the performance out of the 2017 Mercedes-Benz AMG® C 63 will be astonishing. A twin-turbocharged 4.0-liter V8 will deliver 469-horsepower and 479 lb-ft. of torque in the standard model. An S model will also be available, bringing with it a whopping 503-horsepower and 516 lb-ft. of torque. The result of all this power is an astounding zero-to-sixty time of 3.9 seconds – and just 3.8 seconds for the S model. Top speed will be electronically limited to 155 and 180 miles per hour respectively. Transferring all of this power to the wheels will be an AMG® SpeedShift MCT 7-speed transmission with paddle shifters and Dynamic Select mode settings. The suspension will also be AMG®-specific, and feature a four-link front setup and a specially tuned multi-link rear. AMG® Ride Control dynamically adjustable suspension is standard, along with a limited slip differential and dynamic engine mounts. As you might imagine, the interior and technology features will be nothing short of spectacular as well. Standard front sport seats are heated, with a driver’s side memory feature. Also standard is a satellite radio system with Burmester sound, keyless entry with push-button start, a 7-inch color display, mBrace concierge service and more. Available features include performance seats, COMAND® navigation and voice control, Distronic Plus adaptive cruise control, and all of the advanced safety features Mercedes-Benz has introduced throughout its vehicle lineup in recent years. The exciting new 2017 Mercedes-Benz AMG® C 63 Coupe will be available beginning in the second half of 2016, and is likely to start at around the low $70,000 mark. The S model AMG® C 63 Coupe will follow, and will be priced around the low $80,000 range. 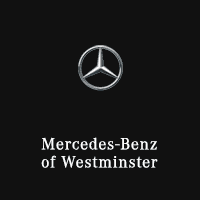 Here at Mercedes-Benz of Westminster , we’re eagerly awaiting the full details of this astonishing road machine. When the car is featured at the Frankfurt Auto Show, we’ll know more about the exact features and numbers. And of course when the car is finally released next year, we’ll be very excited to witness the performance for ourselves. If you want to learn more about this special vehicle and the legendary performance numbers it will deliver, drop us a line and let us know. We’ll make sure you’re among the first to hear about the details as we get them.